I got into voice acting without having much training. As with many other things, I experimented a lot and eventually taught myself how to properly speak in front of a microphone. I wasn’t keen on doing it professionally, rather for the fun of it all. Slipping into different characters and breathing life into them was my main reason for finding it so attractive. The Internet proved to be a great marketplace for finding jobs on the voice-over market and so I did a couple of paid jobs from time to time. 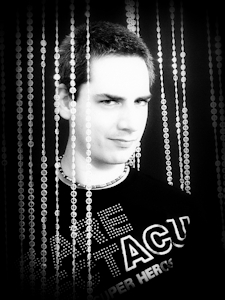 If you have a project and should require a voice, feel free to send me an e-mail. 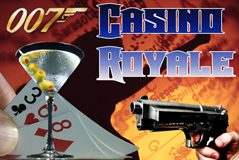 Made by Circus 13 Productions, “Casino Royale” was a fan project which turned Ian Flemings classic James Bond novel into a gripping audio drama. 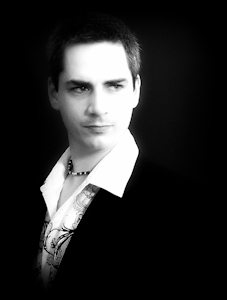 I was cast in the role of the French doctor who treats Bond after he has been brutally tortured by villain Le Chiffre. 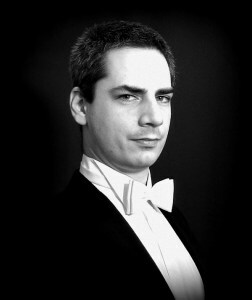 You can listen to the episode [E05 – “Vesper”] online. 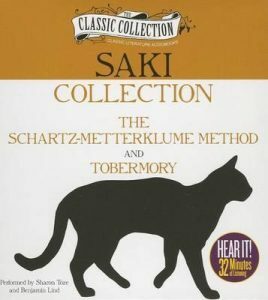 Professor Cornelius Appin claims, he has invented a means for instructing animals in the art of human speech, and the family cat, old Tobermory, proved to be his first successful pupil. However, when the professor demonstrates his success with Tobermory the results have consequences far beyond anything he expected. In this production by JimCin Recordings, I took over the part of narrator and and changed voices for both Cornelius Appin and Tobermory the cat as well as several other characters. This 1940s dectective audio drama used all voices of the PC game of the same name. Recorded in a playthrough, I exchanged the voice of the main character for my own and wrote an additional narration which used an echo effect so that it could be distinguished from conversations. It was fun to produce and gave me a lot of practise on how to use my voice in certain situations as well as audio editing. No commercial release. 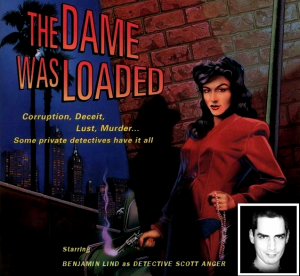 Same as “The Dame was Loaded”, this audio drama was compiled from a game playthrough. 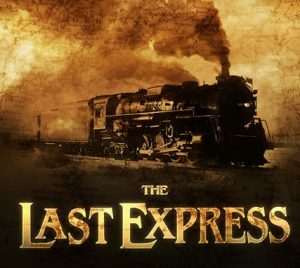 Not only was it a splendid murder mystery onboard the legendary Orient Express, but also a thrilling story with political influences like the Black Hand and the outbreak of WWI. 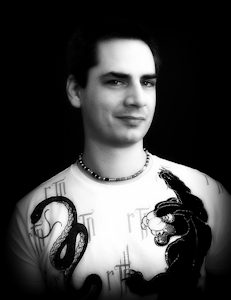 I voiced the main character Robert Cath and did the audio editing. No commercial release. Being in the public domain, I began recording audio book versions of Maurice Leblancs “Arsène Lupin”. The first collection featured nine novellas about the Gentleman burglar and was penned in 1907. 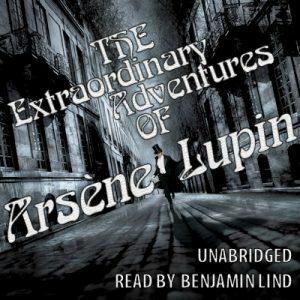 Similar to the famous Sherlock Holmes stories by Sir Arthur Conan Doyle, the Arsène Lupin ones weren’t very long and thus were about 60 minutes in length per novella. In an homage to miss Jane Austen, a pair of sisters use a touch of magic to help their widowed father find something he lost long ago. 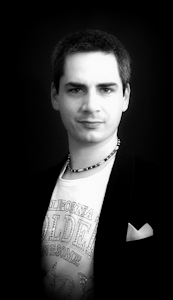 I took on the small role of Barnet Colfield among a stellar cast of experienced voice actors. 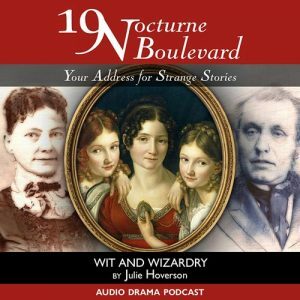 The professionally produced, 38 minute audio drama was released as an audio podcast and is still available for download. A long dream of mine was to voice Sherlock Holmes, the brilliant detective created by Sir Arthur Conan Doyle. 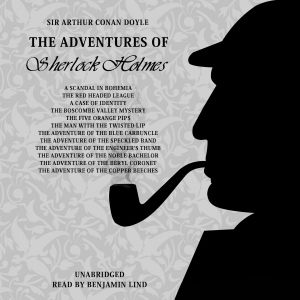 As most of his work is in the public domain, I began recording “The Adventures of Sherlock Holmes” – a collection of twelve short stories featuring the fictional detective. With the utmost respect for the characters, I thought long about how to best voice Holmes and his companion Doctor Watson. The result is a snobbish and slightly mad rendition of the genius detective. 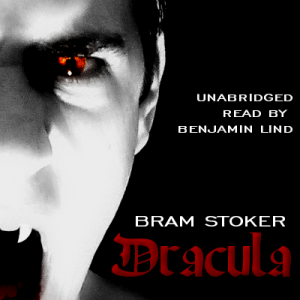 The classic 1897 Gothic horror novel by Irish author Bram Stoker is brought to life in this chilling audio book production. It tells the story of Dracula’s attempt to move from Transylvania to England so that he may find new blood and spread the undead curse, and of the battle between Dracula and a small group of men and women led by Professor Abraham Van Helsing. Voicing the legendary vampire count and making him sound spine-chilling is a task that involves great care and preparation. Cast as Allan Quatermain & Campion Bond – COMING SOON!